Looking to relocate your business? Need more or less space? This is the location for you! 1000-3000 SF available at an unbeatable price! Located just beyond the Bullhead City limits. GENUINELY Unique property that you can live and work in OR use partial and lease the rest, 2 LARGE Garages, 2 Separate living quarters (could easily be 3 or more) and could EASILY make office back into living area. Outside storage and paint booth that could be refurbished perhaps. . Well for Oasis irrigated yard space. Beautiful Medical Space ready for your business! 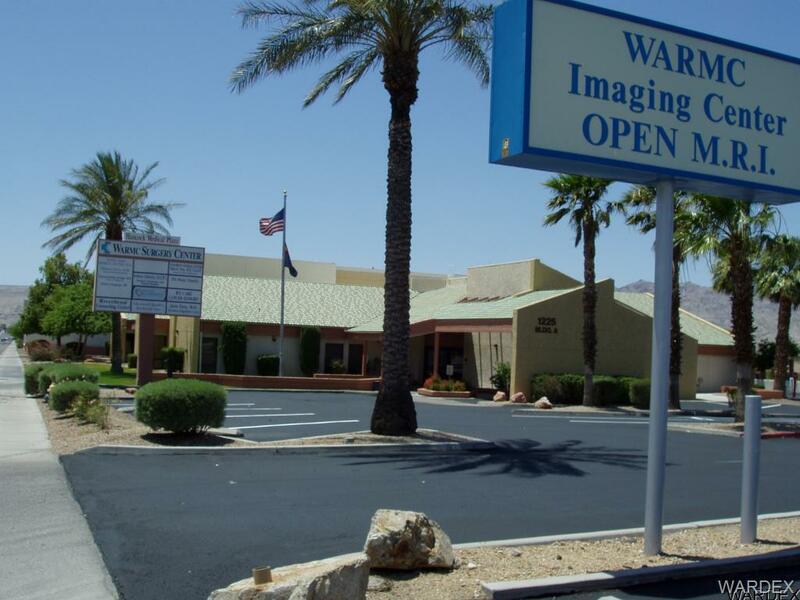 Located in the heart of Bullhead City just minutes away from the very busy Hancock Medical Center and Surgery Center. Previously used as a Dialysis center but could easily be used for many types of medical facilities. There is a potential to use an additional up to 3000SF of office/storage space in the building. Riverfront RV park across from the casinos. !00 feet of river frontage with large dock and gazebo attached. Has seawall. 2 building 1 3 bed 1 bath 1264 sq. ft., second 2 bed 1 bath 980 sq. ft. right on river. Infrastructure in as well as sewer. 20 spaces for RV or coach homes. Ready to develop and make it your own. Can also accommodate up to 22 condos. 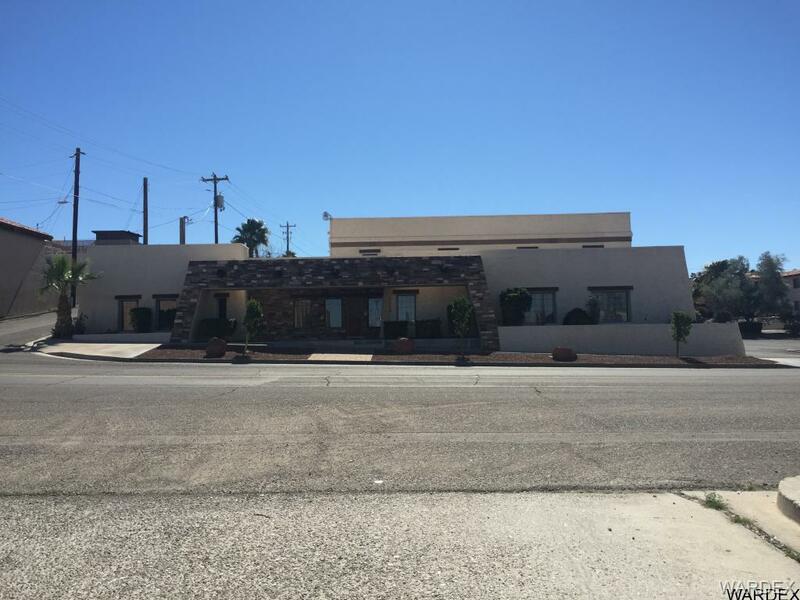 Potential of 1 to 3 offices from 660 SF to a total of 3550 SF Excellent Hwy 68 Frontage with great exposure. Potential of 1 to 3 offices from 630 SF to a total of 3550 SF Excellent Hwy 68 Frontage with great exposure. High traffic location in Bullhead City by corner of Hancock and Lakeside. 3300 SF was set up for medical procedures during previous tenancy. 3000 SF rented. Great property to own and have income. Owner will finance with acceptable terms. 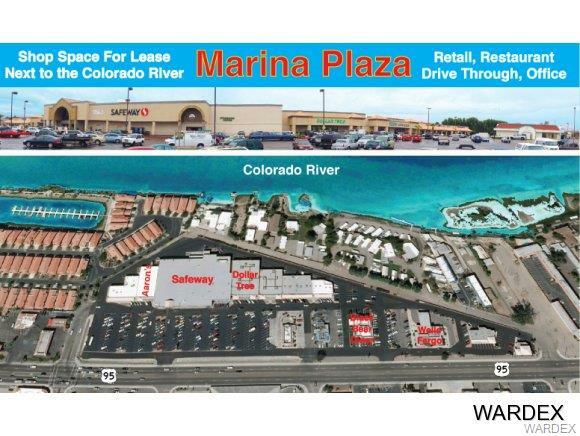 ****HWY 95 AND MIRACLE MILE VISIBILITY****SUPER HIGH TRAFFIC LOCATION****Close to SuperWalmart & right next door to the BRAND NEW ARRONS FURNITURE on Miracle Mile. Corner property***Great exposure for your office or business. 2 - 1000 SF Unit now move in ready and for lease. $. Recently updated 4 bedroom home with balcony overlooking river with no obstructions. Downstairs has large bar for entertaining family or friends. Bring your boat and tie up to your private boat dock. Three air conditioners (heat pumps), One solely for master bed room and bath. Beautiful medical and professional plaza. Available for complete tenant finish. corner unit, nice private balcony with South facing view. Base rents are $1.20 PSF. Minimum three year lease agreement on any suite with complete TI. Tenant Improvement allowance is $24.00 PSF. Common area Maintenance is $0.14 PSF. Two office, data room, bathroom, and open area for desks or conference. Recently painted. Ready for tenant. Beautiful medical and professional plaza next WARMC. Base rents are $1.10 PSF. Minimum one year lease agreement on any suite. Common area Maintenance is $0.14 PSF.